I am a doctor of neurology & my wife is doctor of dermatology. 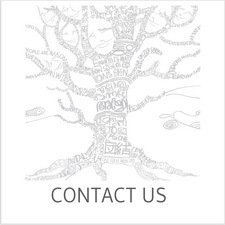 We practise western medicine, but we believe in the wisdom of traditional ayurvedic heritage. 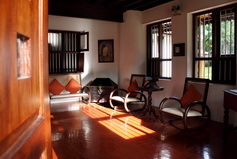 Harivihar, abode of the divine, is a 170 year old painstakingly restored royal heritage homestead located in Calicut. Harivihar is a heritage homestead and one of the best ayurvedic resort in Kerala concentrating on Ayurveda therapies and Yoga; two great contributions of India to mankind. 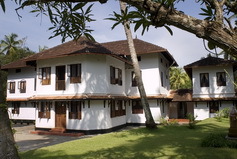 Situated in Calicut, part of the historic Malabar province, the gateway through which Europe, led by Vasco Da Gamma, entered the fabled Indies; Harivihar offers its guests the unparalleled experience of living in a heritage royal manor surrounded by a verdant and serene landscape. At Harivihar, you can enjoy the priceless benefits of Ayurveda; the science of pristine living as prescribed by Mother Nature and perfected by ancient gurus. 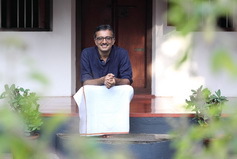 The fact that as a homestead it has received the prestigious Green Leaf accreditation, the highest honor from the Government of Kerala for authentic Ayurveda makes Harivihar unique. Add to this courses in Yoga, delicious vegetarian cuisine, occasional performances of traditional Kerala art forms, delightful drives to the splendid beaches and hills in and around Calicut and it becomes clear why Harivihar is a place like no other.